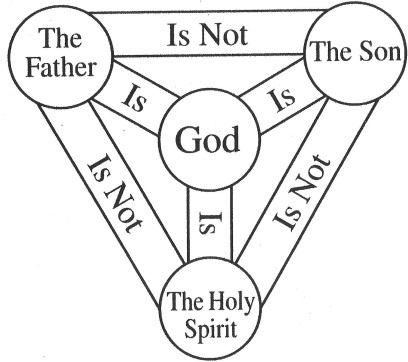 “Jesus Only-Jesus is the Father and the Holy Spirit” ????? follows, I demonstrate that Oneness Pentecostals are “serial offenders” where it concerns violating some of the fundamental rules of hermeneutics. Matthew 28:19 and Acts 2:38. Scripture. Only those preunderstandings that are compatible with Scripture are legitimate. “morning star.” Revelation 22:16 identifies Jesus as the “morning star.” Ignoring other relevant verses, one inappropriately could conclude that Jesus is the Devil. and clear Scripture verses on the matter.5 This is precisely where Oneness Pentecostals go wrong. emotions (Isa. 63:10; Eph. 4:30), and will (1Cor. 12:11). and the Son knows the Father (Matt. 11:27). Jesus is our advocate with the Father (1 John 2:1). They are two distinct witnesses (John 5:31,32,37). We also know Jesus is not the Holy Spirit because the Holy Spirit is another comforter (John 14:16). Jesus sent the Holy Spirit (John 15:26). The Holy Spirit descended upon Jesus (Luke 3:22) and seeks to glorify Jesus (John 16:13–14). interpretation of a particular verse contradicts a truth taught elsewhere in Scripture, the interpretation of that verse cannot be correct. effectively prohibiting anyone from claiming that Jesus is the Father. (6:6,9,14–15;10:32–33;11:25), Jesus is God (1:23;9:6;11:27;12:8;16:27;19:28;25:31;26:64), and the Holy Spirit is God (1:18,20;10:20;12:18,28,32). instruct the disciples to baptize in the name of the Father, Son, and Holy Spirit, for each played a pivotal role in human salvation. their rejection of Jesus the Messiah (vv.22–37) then invite them to identify with Him publicly via baptism (v.38). the name of…” Jesus Christ (Acts 10:48). Such variations militate against an unbending baptismal formula. and the blessed One who came to earth to reveal the Father to humankind (John 1:1,14,18; cf.14:9–14). 1. Unless otherwise noted, all Scripture quotations are from the New American Standard Bible. 2. Oneness Pentecostalism, distinct from mainstream Pentecostalism, is similar to other cults in its denial of the Trinity. It is different from other cults, however, in its strong insistence on the absolute deity of Jesus Christ, holding that Jesus is the one true God who manifests himself in three modes. 3. Brent Graves, The God of Two Testaments (Hazelwood, MO: Word Aflame Press, 2000), 297. 4. Norman Geisler, Explaining Hermeneutics (Downers Grove, IL: InterVarsity Press, 1988), 14–15. he elsewhere expresses belief in open theism, an unorthodox view. 6. Westminster Confession of Faith, 1:9.
relationship. In this article, I use the term in a simple, nonformal sense to speak of direct, interpersonal, mutual, reciprocal, and loving relationships between persons. 9. Daniel Wallace, The Basics of New Testament Syntax (Grand Rapids: Zondervan, 2000), 94. 10. A. T. Robertson, Word Pictures in the New Testament, Logos Software, emphasis added. This article first appeared in the Practical Hermeneutics column of the Christian Research Journal, volume31, number2 (2008).